Shooting in a tram in Utrecht, Netherlands has left several people injured. Details remain unknown although police suspect a possible "terrorist motive". Netherlands: Few days after the shooting incident at a mosque in New Zealand, several people have been injured in a shootout with a possible "terrorist motive" in Utrecht, Netherlands. The shooting occurred in a tram at around 10.45 am on Monday. Although details of the incident have not been released, police say that helicopters are at the scene and no one has been arrested. An eyewitness reported to local broadcaster RTV Utrecht that a woman was seen lying on the ground amid confrontation and that several men could be seen running away from the scene of crime. Police have not ruled out the "terrorist motive" although nothing has been confirmed yet. 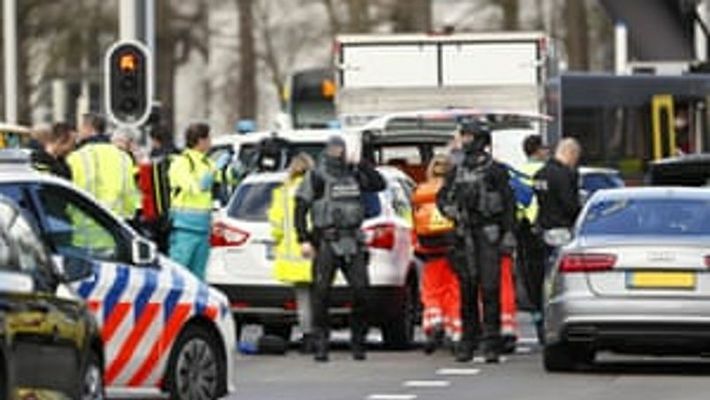 Netherlands Prime Minister Mark Rutte said that he was "deeply concerned" and also stated that crisis talks would be held as a response to the incident. The local tram station at 21st October square has been closed for investigation as emergency services and anti-terrorism unit are present at the scene. Police have requested the public to stay away from the cordoned area to allow speedy processing of the crime scene.